Windows’ File Explorer is not just a portal to your filesystem; it can be an effective productivity tool with a little customization. Some people just aren’t fans of File Explorer’s Favorites section (known as Quick access in Windows 10). They're missing out. Because for anyone who regularly goes back and forth between a specific set of folders—and I'd wager that's most of us—Favorites/Quick access allows you to, er, access those folders quickly. That's a whole lot better than having to always dig through File Explorer to hunt them down. Here's how to customize the Favorites/Quick access section to meet your needs. Putting a new folder in the Favorites/Quick access section is easy enough. The most direct way is to drag-and-drop a folder under the Favorites/Quick access heading in the left-hand navigation panel. Alternatively, in Windows 8.1 and earlier right-click on the folder you want to add and in the context menu choose Add current location to Favorites. In Windows 10, the context option is called Pin to Quick access. To remove a folder you don’t need—and everything is removable including the Desktop link—right-click it and choose Remove; or in Windows 10, select Unpin from Quick access. 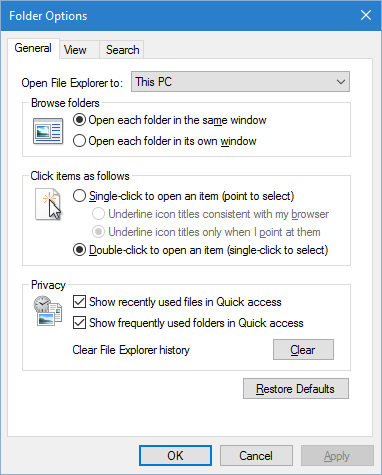 Modify Quick access with the Folder Options settings in File Explorer. 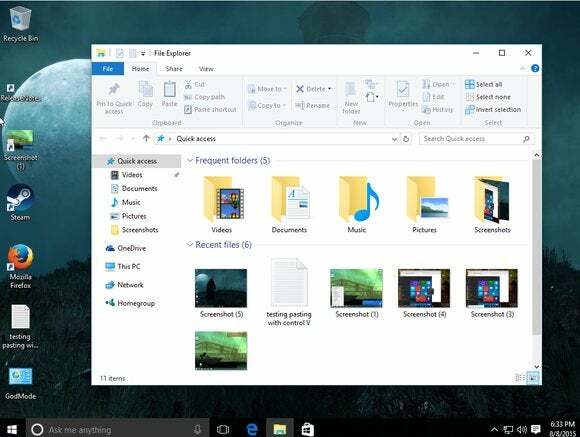 While it’s handy to have specific folders in Quick access in Windows 10, it’s not necessarily handy to have the operating system show recently used folders and files. Often the automated folder selection just gets in my way. I have even less use for the recent files section that appears when I click on the Quick access heading in the left-hand navigation panel. To get rid of either or both of these settings, open File Explorer and then select File > Change folder and search options. Once you’ve modified Quick access to your liking, click Apply and OK and you’re done. File Explorer’s Favorites/Quick access section isn’t particularly complicated, but once you customize it to your needs, it’s a very effective tool.